How Good Does Your Home Theater Sound? When you visit a commercial movie theater, you are looking for a true cinematic experience. That usually means a comfortable seat, a darkened theater, a big screen – and equally big sound. For home theaters, many people are focused on the screen; the size of it, the resolution, and whether to get a large flat panel or projector, etc. But you should not ignore the impact of audio in a home theater. To achieve that coveted cinematic experience, you need sound that matches the brilliant images on the screen. And to get great sound in your Lake Oswego home theater, you need a great audio installation. Let’s take a look at three important areas that impact the sound quality of your home theater. Whether you are looking at a new installation, upgrading an existing one, or thinking about a new media room, read on to learn more. Speakers are a critical piece of the audio puzzle in home theaters. One important question to ask yourself is if you want to use your home theater system to listen to music. You might ask why? Because a great home theater speaker is not always a great music speaker. However, in most cases, a great music speaker does make an excellent home theater speaker. The reason is that if a speaker can expertly and delicately handle instruments and vocals in music, and its dynamic range, then it can handle flying bullets and other movie effects. Anything that a musical speaker lacks in bass for explosions and car crashes can be handled with a well-matched subwoofer. 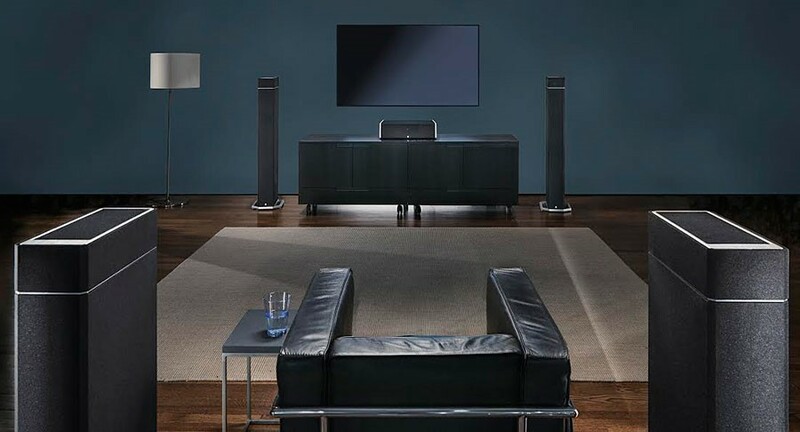 For home theater speakers, there is a vast array of choice. You can go with floor standing, stand mount, wall mounted, in-wall, and in-ceiling speakers, or some combination of these depending on your room. You can even have the theater subwoofers mounted in-wall as well for a sleek appearance. Generally speaking, freestanding speakers will deliver the best sound quality, but with all the high-end in-wall choices today, much depends on the models chosen. We carry a wide array of speakers that can fit any home theater design, and many of them are equally adept at music. Among our speaker brands are Sonance, renowned for architectural speakers, Leon, makers or customized, high-performance built in speakers, and Definitive Technology, known for its bi-polar speaker designs. What you might ultimately choose will depend on your listening preferences, your room layout, and if you want your speakers visible or to simply disappear from view. AV processors are what takes movie format sound (like a Dolby Digital soundtrack) and turns it into analog sound that gets directed to the right channels in a home theater. Amplifiers are what powers your speakers, and sometimes separate amplifiers are needed for subwoofers too, like in-wall models. An AV receive combines processing and amplification into one unit. Today’s AV receivers and processors have many features and functionalities for both music and movie sound. Some of the key things to look for is high build quality, high-end DACs (digital to analog converter), prodigious amplifier power, and connectivity options – inputs and outputs - for all the gear that will connect to it. For example, your receiver or processor might need to have dual video outputs for a flat panel TV and a ceiling mounted projector that might be used in the same room depending on what is going to be watched. For home theaters, Encore often installs Marantz components. Marantz’s line covers AV receivers from modest to the high-end, as well as separate AV processors and amplifiers for high-end installations. Marantz electronics also have a well-deserved reputation for sounding good with music sources as well as movies , a claim not all home theater components can make. All their products feature quality internal components and construction, and typically deliver many years of regular service. One area that deserves more attention than it gets is acoustics. Depending on the size, shape, layout, and décor in your theater or media room, your sound can vary greatly, even with high-quality equipment. This is where acoustic treatment and expert tuning of the system can pay huge dividends in sound quality. Some rooms experience muddy bass response, and some rooms with an opening or that perhaps are oddly shaped can experience less than ideal surround sound performance. To fix sound response issues like these, two areas can be really important. The first is expert calibration of your sound system, which involves precise speaker placement and calibration of sound levels and other parameters in your AV receiver or processor. The second is the use of sound absorption and acoustic materials to smooth out the way sound bounces off of your room’s surfaces. These are the types of expert services Encore can provide that make the difference between a merely good home theater sound installation and a great one. Are you ready to make your home theater sound its best? Reach out to our team today!